In my new study, Big Businesses Fall Short with SEO and Content Marketing, I took a close look at the Fortune 100 to size up how they’re dealing with basic SEO tactics for their website content. Their performance isn’t surprising on some levels. They command No. 1 rankings on Google and often fall safely on the first page of Google search results. The problem is that too many popular keywords aren’t making it to the first page. In my analysis, I evaluated the 500 most-searched keywords per company based on Google ranking and search data tracked by SEMrush. On average, 19.4% of the Fortune 100 keywords ranked between 11 and 20 on Google (the second page). Sure, scores of the most popular search words aren’t the least bit relevant to the Fortune 100 companies. “Quiz” attracts an estimated 1.3 million annual searches on Google. Does Disney really expect to benefit if it moves up from No. 15 to No. 5 in a search for that word? Boeing would hardly pursue a No. 3 ranking for “long-term forecast,” which has about 25,000 annual searches on Google (Boeing ranks 20th for the phrase). What about the popular keywords that could match their lead, sales, and branding goals? 56% don’t even use keywords in their SEO titles for their home pages. 23% of Fortune 100 companies don’t use a meta description on the home page that could appear with search engine results. 89% generally don’t name images with keywords with dashes (they prefer ineffective underscores and generic or jammed words). What’s at stake with SEO and content marketing? Prominent companies could support profitability ambitions instead of sometimes squandering opportunities. The title of your site’s home page is a reasonable place to include some additional information about your site – for instance, ‘ExampleSocialSite, a place for people to meet and mingle.’ But displaying that text in the title of every single page on your site hurts readability and will look particularly repetitive if several pages from your site are returned for the same query. Unfortunately, with their interior pages, 71% of Fortune 100 companies merely repeat their visible content header (like the headline) and use that for the SEO page title. The problem is that the headers are often general, which means the SEO page titles don’t benefit from keyword variations. 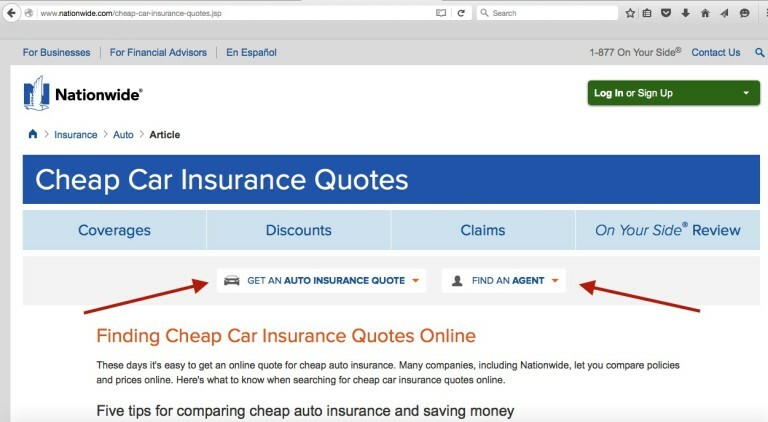 Nationwide stands out among Fortune 100 websites for how to maximize its SEO efforts. It still underperforms but can improve. Whoever led the SEO strategy made a significant difference for the company. Nationwide and other large businesses should strongly consider taking these five steps to improve their search engine visibility. Take stock of your stature. Enterprises have inherent advantages that should be exploited for SEO strategies. Large companies have firmly established websites that contribute to their authority (it’s not uncommon for their domain names to be 30 years old). Even better, they attract hundreds of thousands and sometimes millions of inbound links from other websites. Many of those sites are credible in their own right. When the company gets an inbound link from them, the website can get a ranking boost from search engines. The sheer size of a large company website reinforces its value to online searchers. Search engines don’t just recognize the number of pages and files. They factor in the overall source code and website structure, including internal links that point to specific content. All of those variables – from the website age to inbound links – set the stage for high search engine rankings for large enterprises. They just need to fully optimize their websites to make headway with their search engine presence. Some marketers argue about the significance of including a keyword phrase in a domain name. I still believe it makes a difference. But 99 of the Fortune 100 websites include only branded keywords. The only exception is HCA, which includes “healthcare” in its domain. Unfortunately, the great domain can’t make up for the website’s SEO shortcomings. Image source: Online Marketing Coach based SEMrush/Google data. Merck ranks 14th on Google for “Lisinopril” for its PDF about Prinivil, a prescription drug for high blood pressure and congestive heart failure. Merck misses out on a ton of traffic because it doesn’t even bother to include branding with the company name and logo until the bottom of the final page in a PDF that’s focused on every aspect of Prinivil.Image source: Online Marketing Coach based SEMrush/Google data. For years, I’ve heard marketers say it’s not worth focusing on search engine rankings because conversions are what matter at the end of the day. Well, you can’t convert a website visitor who doesn’t know your website content exists. Companies should explore their search engine rankings, website traffic, and conversions, including the response forms they receive and other engagement metrics like phone calls and downloads. Nearly all of the Fortune 100 websites have at least some kind of home page call to action – some are marginal. 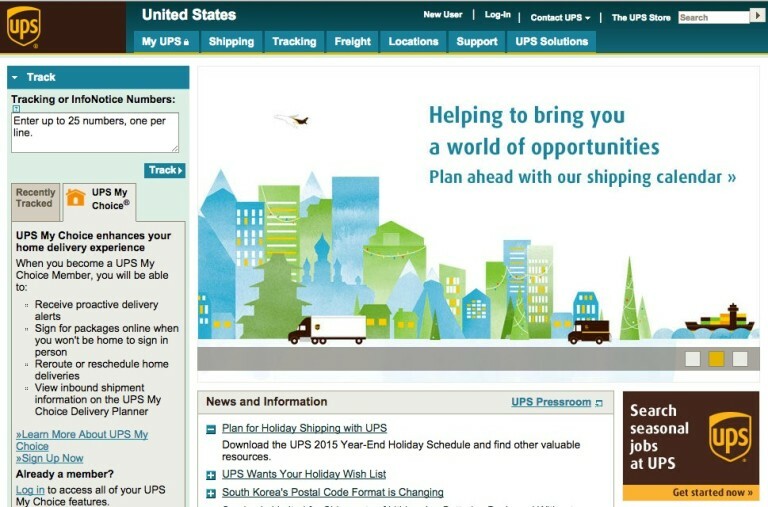 UPS is among the worst. A tiny “location” reference isn’t what I expected to see. Sure, it gets better on the next page. But the first impression is horrific. Sometimes home page text is tough to read, diminishing the value of a call to action. Tesoro should update its design. Other enterprises like Halliburton don’t waste time. The company features several calls to action that appear quickly but last long enough to trigger interest. With SEO and rankings, one of the biggest problems is that too many keyword phrases compete for the same page. It happens all of the time because of the content. Companies like Nationwide could settle for a variety of rankings for any given page. However, when you mess with the content and the SEO page title, some of the high-ranking keywords could be modified and their rankings could fall. If you tinker with an existing page, monitor the impact with rankings and changes in conversions tied to the page. In other words, be careful as you adapt your content to go after a highly searched keyword phrase. If your site jumps from No. 14 to No. 6, that would be great. The gains might outweigh the impact on another keyword phrase that ranked No. 19 and falls to No. 27. The keyword phrase that was ranking 19th may not have been driving significant leads and sales anyway. If you add new content, then chart your rankings, website traffic, and conversions related to those new content pages. Your new page will rank for other keywords in addition to your focus keyword phrase. Regardless, your goal should be the same: The target keyword phrase should rank higher than it does for older content. Some Fortune 100 companies struggle because they apparently are satisfied with the website traffic they do receive. Or, they’re not good at noticing problems in the first place. How does your company diagnose SEO and content marketing efforts? What steps do you take to ensure that your content ranks as high as possible? Previous Post How to promote your business on twitter? Next Post Tweet Boss? why we want to use tweet bossess? Is it atomation?